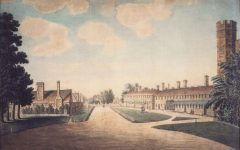 Whitehall, the centre of government and one of London’s hotspots for tourism, would look very different today if it weren’t for a careless maid with some linen laundry just over 300 years ago (318 to the day). 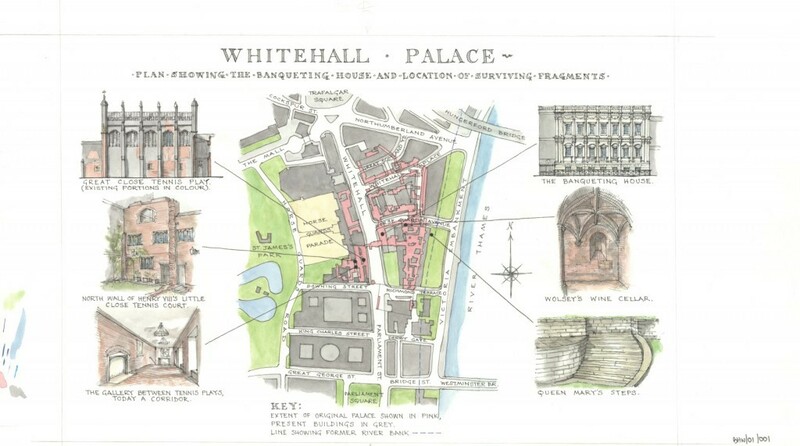 Beneath the governmental buildings and pavements trod by civil servants and tourists lie the remains of what was once the largest palace in Europe – Whitehall Palace. 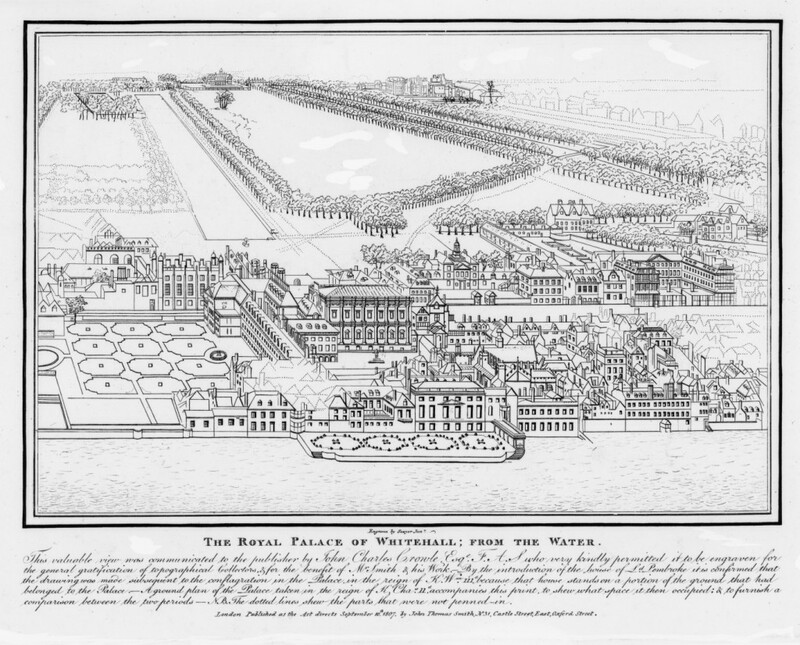 Built by Henry VIII and enlarged by his successors, at its height, Whitehall contained over 1500 rooms and spanned from Charing Cross to Downing Street. It was where Henry VIII secretly married Anne Boleyn, the Gunpowder Plot was revealed to James I, Charles I had his head chopped off and William and Mary were offered the joint crown. 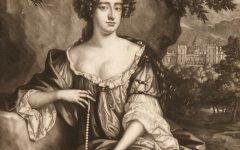 The palace was one of the most important homes of the monarchs – where they ate, slept, played tennis, enjoyed theatre and met with their ministers and mistresses alike – until a fateful afternoon on January 4th 1698. A Dutch maid working in one of the palace’s riverside lodgings left linen to dry in front of a large amount of charcoal. 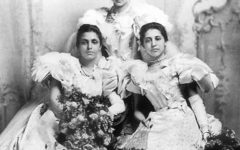 The textiles caught fire and the flames soon spread to the rest of the palace burning with “great Fury and Violence all night”. Residents and labourers were called in to help extinguish the fire but to little effect. Courtiers rushing inside buildings to save possessions hindered fire-fighting efforts. The threat of looters and plunderers was so great that the gates of the palace were locked to “prevent ye mob coming in”. Furniture, books, and precious textiles went missing as well as eight lottery tickets (numbered 17M771 to 17M778 – keep your eye out when you’re next in Whitehall!). Today the only reminders of this palace are fragments of Henry VIII’s tennis court in the Cabinet Office, Cardinal Wolsey’s wine cellar under the Ministry of Defence, the steps of Queen Mary’s riverside terrace in Victoria Embankment Gardens, and of course – Inigo Jones’s Banqueting House. We are working on a new project that will bring the palace to life again by digitally transforming Whitehall’s modern streets into the rooms, gardens, courtyards and passages of the once great Tudor and Stuart palace. You will have your own opportunity to explore “The Lost Palace” at the Banqueting House in summer 2016.